What do you do if you have been arrested for a drug crime in Burbank? You need help from a trusted and experienced lawyer who has represented numerous clients charged with drug offenses in Burbank, & understands the Burbank system. You certainly need an attorney who understands recent law (Proposition 47) & strategies which directly impact Burbank drug cases. That attorney is George Kita. Mr. Kita is a former prosecutor, and is familiar with effective strategies for drug arrests, and works towards prompt solutions for his clients' cases. Many solutions which Mr. Kita pursues are designed to allow for a dismissal of drug charges, including Drug Diversion, PC 1000, and DEJ. Mr. Kita guides clients into appropriate programs, and works towards long-term solutions. He now explores new solutions which may require reductions of previous or current felony drug possession cases to misdemeanors, including Health & Safety Code section 11350, 11377(a), and 11357(a). Learn your options, and see how Mr. Kita can help with your drug case, at 818-536-3630! 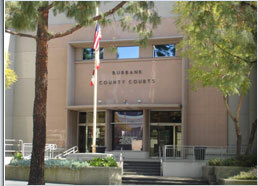 Burbank Police Department and Burbank Court takes a hard-lined stance with drug cases. Since drug crimes often involve other types of criminal behavior, substantial resources are used to stop drug use at the earliest stage. Common drug crimes in Burbank involve: possession of Cocaine, Ecstasy, Heroin, Methamphetamine, Heroin, or Hydrocodone. If you are convicted of a drug crime you can be sentenced to jail or prison, depending on the charges. Burbank Drug Defense Attorney George Kita can investigate the charges against you, evaluate your case, & develop strategies which could result in a felony reduction, dismissal, or program. A drug diversion program may also allow you to obtain court-ordered treatment and counseling instead of a jail sentence, and allow you to receive a dismissal of the case upon successful completion. Have you been arrested for a drug crime in Burbank, California? Call now, at 818-536-3630, to find out your options! *Each result is based on individual circumstances of each client.